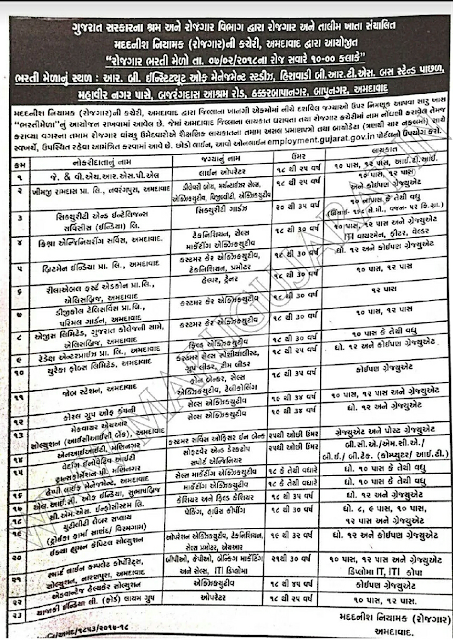 Employment and Training Department Ahmedabad has published Advertisement of Rozgaar Bharti Mela for below-mentioned posts. Check below for more details. Interview Dates: 07-02-2018 at 10:00 a.m.